Need An Entire Home Cleaned Out to Sell? Have family or friends selling their home and need help clearing out the entire house? Contact Mack Hauling today! Save time, energy and cost when you choose Mack Hauling for your construction clean up. We also do small demolitions – if there’s an unsightly outbuilding that you need to get rid of on your property, we can handle its dismantling and the removal of the broken down parts to the proper disposal facility. If you’re a homeowner, contractor or a builder – contact us today to clear out your construction site in Sterling, VA! Items and Clutter Slowing Down Estate Transfer? 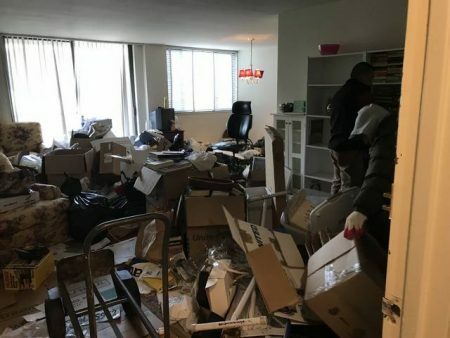 Are unwanted items and clutter slowing down the process of transferring your estate in Centreville, VA? 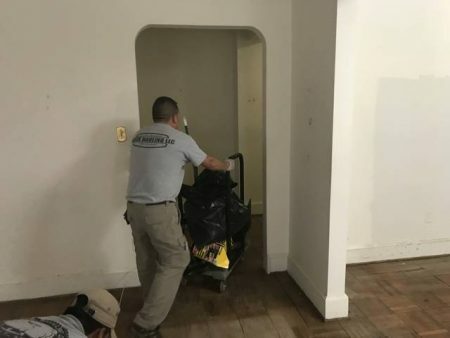 Our certified estate clean out service includes our team removing any item you no longer need, loading up everything into our trucks efficiently, and donating any items in good condition to local charities in need. 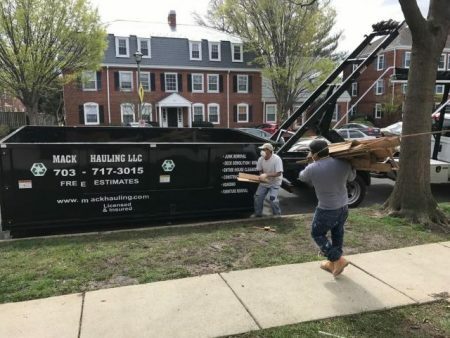 If you’re a landlord, attorney, bank or homeowner who needs this done soon, contact Mack Hauling today! 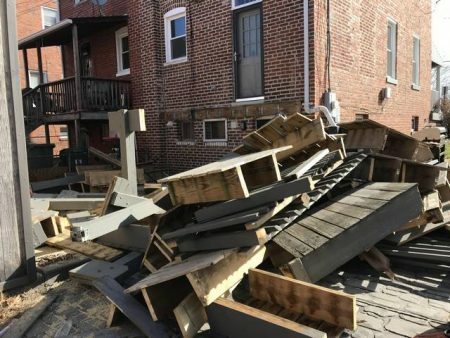 Need debris and material collected from our demolition site? Mack Hauling can take care of it! Whether you’re a contractor, homeowner or business, we can handle your hauling job. Need to Plan a Large Scale Removal of Construction Debris? Not only do we do residential clean outs, but we will also clean out construction sites in Fairfax, VA! With our large trucks and efficient team, we can coordinate large scale commercial removals. 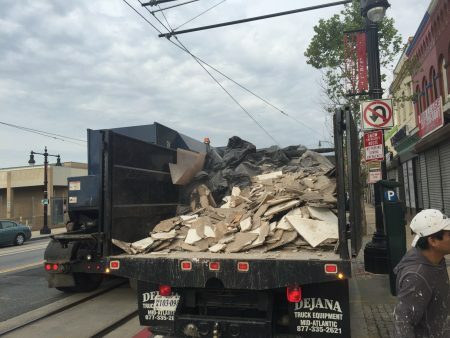 No need to worry about the dumpster rental or removal of large construction debris – we’ll do all the work for you! If you’re a contractor or builder who needs your site to be cleared, contact Mack Hauling today!